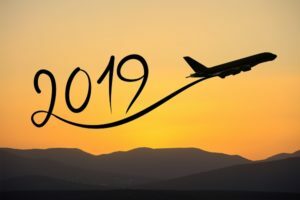 It’s the most wonderful time of the year—the season when travel publications and experts tout their predictions for the next 12 months, like the hottest destinations and the big new trends. (Am I the only one who feels like the “new” trends always sound a lot like the “old” trends?) I’ve decided to do something a bit different: I’ve compiled a few issues that I’d like to see the industry tackle next year. Some of these are new problems, some have been bubbling up for a while, but they need our collective attention. As an industry observer, I know what incredible things we can accomplish together—innovation, technology, creating experiences‚ all in the name of bringing people together so they can do business, learn something, or bring value to their lives. I’m excited to see how we address our next set of challenges. Of course, if you have solutions to any of these issues, please share! 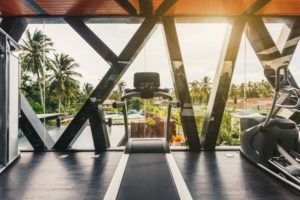 “Wellness” is a huge topic in leisure travel—according to the Global Wellness Institute, wellness tourism is a $563 billion industry—but what about for people who hit the road for a living? A number of hotel chains have developed features that help corporate guests stay healthy, like special lighting or bedding to encourage better sleep, healthier room service options, and new accommodation categories where fitness can be conducted in the privacy of your own room. Those are welcome—but limited in scope. I’d like to see the industry embrace solutions more holistically (pun intended). I was encouraged to read Scott McCartney’s recent column in the Wall Street Journal about employers focusing more on the well-being of their road warriors, loosening up corporate travel policies so they can spend more for a nonstop flight or to avoid a red-eye, even allowing lower-level employees to fly business class more often. That’s possible because of the strong economy and tight job market; travel policy is becoming a negotiating chip for new hires. Longer term, startups like TripActions, Upside, and Rocketrip are creating technological solutions to save employers money and help employees feel more in control—which will help when the economy takes its inevitable downturn. A corollary to wellness is the well-being of female business travelers. While the #MeToo movement has drawn attention to the way too many women are mistreated in the workplace, we need to turn our attention to how women are treated when they’re working away from the office. There are simply too many stories of harassment by drivers, hotel staff, airline seatmates, and so forth. A recent poll by the Global Business Travel Association and AIG found that 83 percent of women had experienced a safety issue or concern in the past year, with most of those saying it had impacted their productivity. Only about half reported those experiences to their travel managers. Women cope with this by booking daytime flights, asking for a hotel room on higher floors and near the elevator, and other tactics—but it really shouldn’t be up to them. Employers need to be more proactive, pressuring suppliers to deal with safety concerns, and ensuring that duty of care policies specifically address issues faced by women. Travel marketers and consumers have seen the benefits of using social media influencers to promote their brand: exposure to new audiences, increased reach, more authentic storytelling. As a result, influencers now command high fees and their travel costs covered to share content with their followers, who may number in the millions. The drawback? There’s little visibility into what and who the influencer brings to the table. Unlike traditional publishers, influencers rarely provide useful data on their audience other than its size. Are they real travel consumers who are likely to book your product? Are they even real people or just bots? We need more transparency from influencers and less credulity from the people hiring them. In the meantime, marketers are trying new variations, like turning influencers into “brand ambassadors,” who commit to a deeper, longer-term relationship with the brand; or focusing on “micro-influencers,” with a smaller but more engaged audience (and yes, “nano-influencers” are a thing). Four Seasons’ new Envoy program is another trend: Getting artists, writers and other creators to produce meaningful content that can be repurposed across platforms. The social media networks need to do their part as well. Instagram, which has become the dominant platform for influencers, should be offering tracking pixels, a mobile wallet, and other tools friendlier to e-commerce, particularly for travel. We’ve been reading for a while about the harm that occurs when tourism arrivals overwhelm a destination’s ability to cope. It’s the downside of the booming economy and our industry’s success at giving more people access to the world. What’s more, disruptive technologies can have unintended consequences: Uber has been shown to worsen traffic; Airbnb can drive up local housing costs; Instagram is driving people to complete their selfie bucket lists. It’s good to see destinations experimenting with a range of solutions. 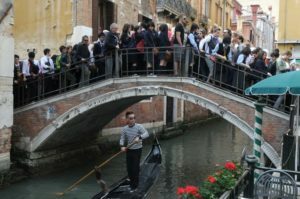 Venice is limiting certain neighborhoods to card-carrying residents and rerouting large cruise ships to ports outside the city. Iceland limited Airbnb rentals to 90 days per year and launched marketing campaigns to encourage visits outside of high season. Dubrovnik set strict limit on cruise passengers, and Kyoto is highlighting lesser-known neighborhoods and pushing attractions to open earlier. We need to encourage more initiatives like these, as well as better cooperation between governments and private enterprise to ensure we don’t kill the goose that laid the golden egg. And we need to help consumers understand the impact they have on a place, positive and negative. 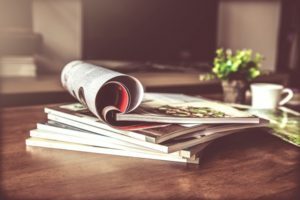 Concurrently with the rise of influencers, traditional travel publishers are facing growing challenges to their business model. In the past few years, we’ve seen Condé Nast Traveler combine its US and UK editions; Travel + Leisure announce a new editor in chief; Sunset and Fodor’s change hands; Google sell Zagat to digital upstart The Infatuation; and countless newspapers reduce their travel coverage. Nonetheless, it’s encouraging to see publications find success in innovative ways. What works? The membership model, like Andrew Harper’s Hideaway Report or Indagare, eschews advertising and earns revenue instead from expensive subscriptions and travel agency bookings. Branded content—like Away’s Here Magazine, Hearst’s Airbnbmag, and Rosewood’s Conversations—showcases high-quality editorial only loosely linked to the parent company. A few legacy brands (LonelyPlanet.com, Fodors.com) have made deep investments in digital, usually after being acquired by deep-pocketed owners. And a number of independent titles have found a niche, whether that’s big multiplatform players like Afar, which staked an early claim to experiential travel; adventure-focused Roads & Kingdoms, design-focused Suitcase, or even coffee-focused Drift. It’s interesting to see TripAdvisor—which, by elevating crowdsourced content over the expert opinions of travel journalists, was the original travel media disruptor—now pivot to a social media–style feed that features publisher and blogger content in addition to user reviews. While there weren’t any mega-deals this year on the order of Marriott/Starwood or Accor’s acquisition of Fairmont, Raffles, Swissôtel and Onefinestay. But the hotel industry still saw plenty of consolidation. Accor invested in SBE, 21c, Mantra, Mantis, and Mövenpick. Minor announced plans to acquire NH Hotel Group. Asset owners Pebblebrook and LaSalle merged. Wyndham purchased La Quinta, Hyatt picked up Two Roads, and IHG took a controlling interest in Regent. On one hand, mergers give the hotel industry leverage against the OTA oligopoly of Expedia, Booking Holdings, and Ctrip. On the other, mergers and acquisitions create myriad internal challenges—integrating disparate teams and cultures; reduced flexibility; and communicating to consumers what the brands in your portfolio stand for. Hotel management companies like offering customers a wide range of choices under a single corporate umbrella (and its loyalty program), and will always cook up new brands to chase emerging niches (see Motto by Hilton, a new line of micro-hotels). But owners don’t like their revenue cannibalized by a sister brand. And consumers—especially the younger ones—seem to care less and less about brands. They find a place to stay by searching for other factors, like price, amenities, location or individuality not the name on the flag out front. Cruise capacity keeps expanding, with lines ordering new ships for delivery over the next two to five years, particularly in the luxury and expedition categories. Silversea, Seabourn, Regent Seven Seas, Crystal, Viking, and Ponant all have new ships on the horizon. 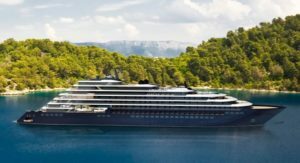 Ritz-Carlton expects to start sailing its yacht at the end of next year; Virgin Voyages will launch in 2020. The larger lines like Carnival, Norwegian, Royal Caribbean and MSC are also adding megaships. The industry group CLIA estimates that only 20% of Americans have taken a cruise (and even smaller proportions of Europeans and Asians) and so the only direction is up. New ships are a chance to show off innovative features, striking designs, and new ports of call—all great ways to attract first-time cruisers. But Wall Street isn’t quite as optimistic. The major lines’ stock prices have taken a hit this year as the market grows concerned about overcapacity and unpredictable factors like economic growth, geopolitics, and weather (the Caribbean’s reputation is still recovering from Hurricanes Irma and Maria). The industry’s lofty hopes for the China market are shrinking, with the Financial Times reporting that market will be down 14.3% this year, thanks to increased competition, pressure from discounting, and Chinese travelers’ general shift away from group departures and toward independent travel. Carnival is smart to position its new ships in emerging domestic markets (Cape Canaveral, Florida; Long Beach, California; Galveston, Texas) to spur demand from drive-in passengers. But it’s going to take more than that to fill the thousands of brand-new berths on the way. As in many other industries, rising labor costs is pressuring hospitality companies to outsource many functions to third-party providers rather than employees. Increasingly, housekeepers, bellhops, valets, restaurant servers, and event workers are not employees but independent contractors hired by an agency. That saves on costs, particularly health care and other benefits. But, as a recent column in Hotels Magazine reminded me, personalization is key to success in this business—and no longer limited to luxury brands. Even as technology smooths out a lot of the wrinkles in travel, human interaction is key. Guests see the benefit of a strong, loyal relationship between employer and employee—and they certainly miss it when it’s gone. Indeed, I’d argue that the human touch is even more crucial in this digital age, when so much of what used to be a human interaction is automated, from check-in to check-out. At the same time, the travel agency community is witnessing an explosive growth in independent contractors—from 29% in 2008 to 62% in 2017, according to a report in Travel Agent Central. That’s a positive trend in that it’s attracting new, often younger talent to an aging workforce. These are complex issues, and there’s a lot more to them than I’m able to cover here. As always, I welcome your feedback on what’s changing in travel today. I look forward to receiving your comments. Let’s keep the conversation going!